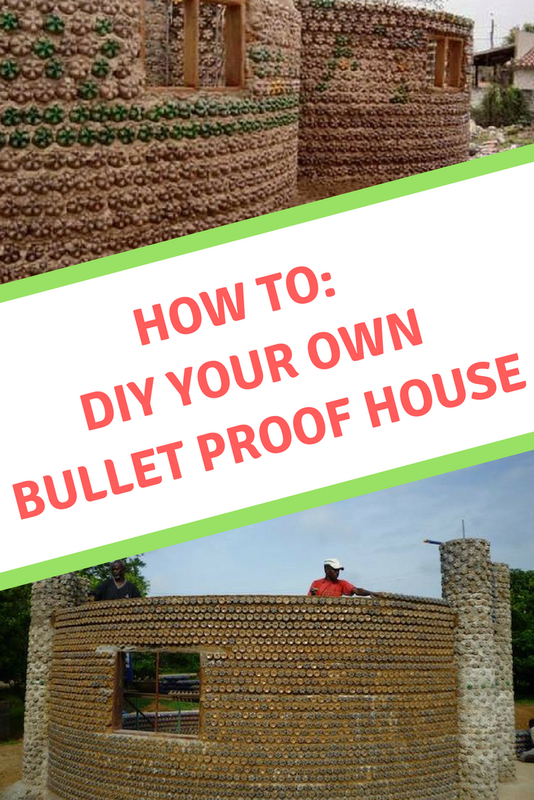 That's right, we're going to show you how you can make your own custom bullet proof, fireproof & earthquake resistant buildings with 100% recycled materials! 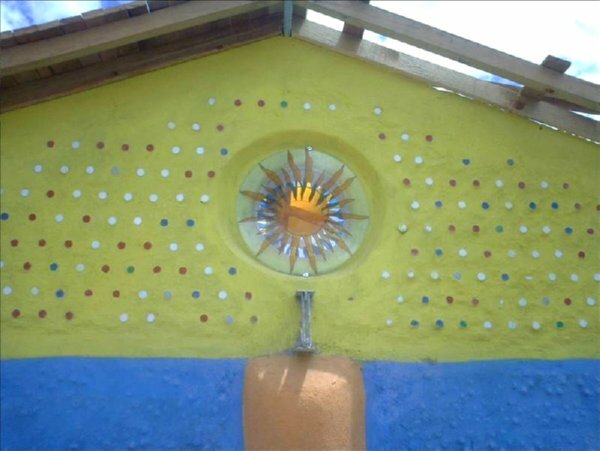 The walls are made from used plastic bottles, filled with sand and coated with a moderate amount of mud and cement to smooth the wall and make it appealing. How do we know if it really works? 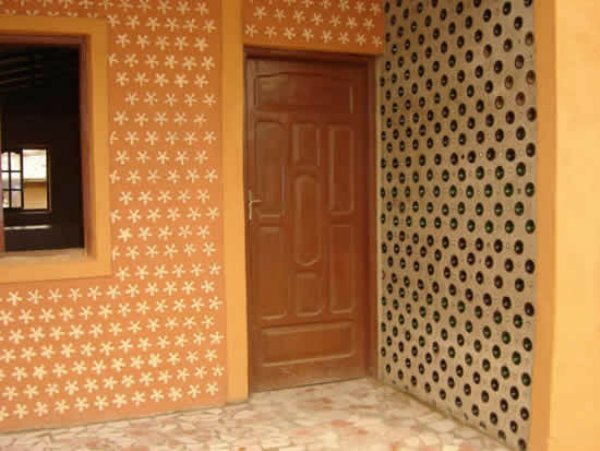 Well this design comes from Nigerian refugees, which if anyone is to know anything about how to stay safe in a hostile environment, it's going to be these guys. And you're guaranteed to have just as much, if not more, resources than they. So what are you waiting for? Is It Practical Where I Live? If you have access to a few thousand used water bottles, sand/soil and concrete then you have everything you need to make your fortress. 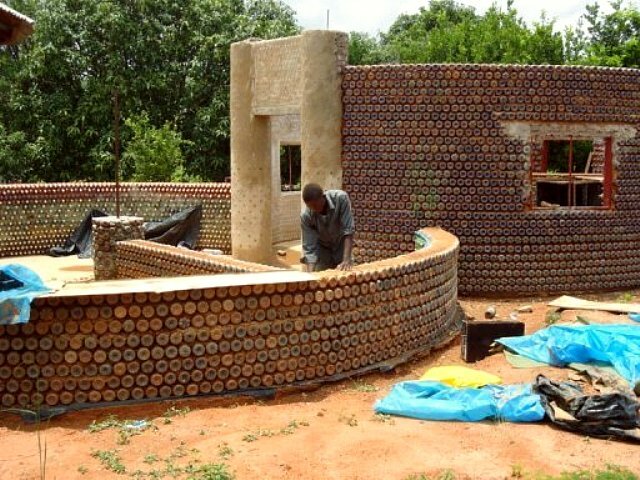 Obviously the fact that you're making the walls of your structure from bottles filled with sand that are lying horizontally​ means that your walls will be roughly one foot thick! And due to the lack of biodegradability of the bottles, they are proven to last 300 years. So unless someone lays siege to your house with a 50 caliber weapon, there's not much to fear. Building one of these houses is roughly 1/4 the cost of a normal home. Which means that this option is cheaper, tougher and more reliable than purchasing a storage container. And since it's 100% recycled material, odds are that you can simply collect all your materials for the wall for free! The construction of the interior of the wall is such that some motion is allowed. Meaning that should your area be hit by an earthquake or shockwave, the bottles are able to move and your wall will remain standing when others will fall. 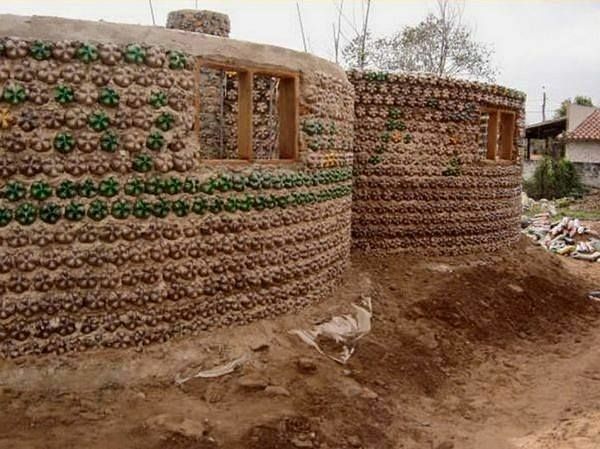 All you need to get started is a few thousand plastic bottles, a whole lot of dirt, some concrete and quite a few man hours. This isn't an overnight build, rather a lengthy endeavor. The bottles you choose to use will need to be uniform in order to maintain the stability of the wall. If you have miss shaped bottles stacked on top of each other without anything in them it would be difficult, it would be more difficult with bottles loaded with dirt.​ So don't make it harder. Also the dirt that goes into the bottles will need to be sifted in order to make it fine enough to be packed tightly. You can use sand if it's available, and that will be much easier to load into the bottles. Just like preparing to build a house, you'll want to level the area and pack the dirt to make it level in all areas so that the structure will be solid. To pack the dirt in as tightly as you can you'll want to use a stiff pole (preferably metal) to push it all down and make it as solid as a brick. Again use FINE DIR﻿﻿T to prevent air pockets and squishy bricks. This is when things need to be exact, so as to prevent the wall from falling either way. And in order to get the bottles to line up straight you'll want to use a plumb line as seen in the above video. This will allow you to keep the bottles from staggering back and forth in the stacking process. When going down the row of bottles you'll want to overlap and wrap string​ around the bottles, this will keep them in place while the binder solidifies and will increase the integrity of the wall. You'll want to use the same mortar used to bind the layers to fill the holes where the caps stick out of the wall. 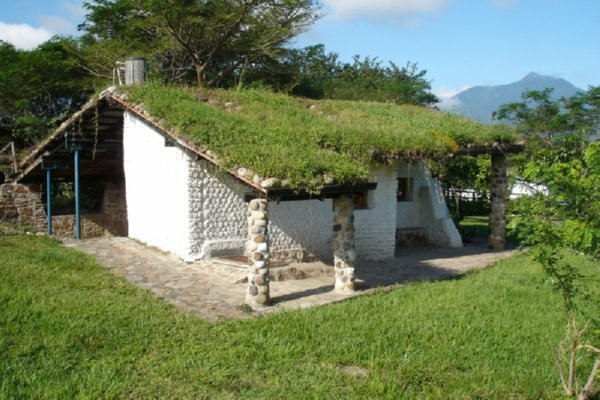 Unless you would like to use the caps as decoration for the interior or exterior of the house like the ones below. At this point you can either smooth over and cover the caps poking out, or you can let them show. Now it's time for the icing on the cake, and this is a very accurate metaphor. Because you'll be putting concrete over the structure​ to give it a smooth appearance and that finishing touch of support to keep it sturdy. So you've learned how to make a fortress fit for a king with nothing but plastic bottles. Share this information with your companions and make sure that those you love will have a safe place to take refuge should the SHTF. Stay safe friends.